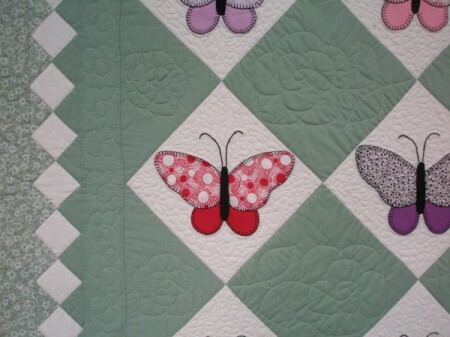 Have you all been over to Park City Girl to see the virtual quilt show! It’s amazing. She’s asking everyone in blog land to post about their favorite quilt–and there are over 500 up on her site already! A virtual quilt show. How fun. Now asking me to choose my favorite quilt is a bit like asking a mother to choose her favorite child. I’ve agonized over this since last night. I considered my Lewis and Clark Redwork Quilt, the Anna Lena Quilt (Dearest Brother) and many others, but, in the end, it has to be Butterflies in My Garden. 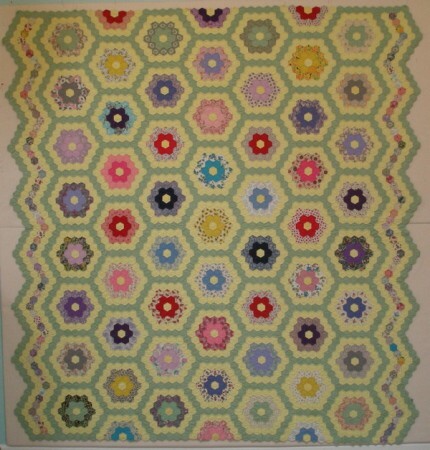 It was VERY early in my quilting career that I made this quilt. I took a class from Constance Rathfon at The Stitchin’ Station in Astoria and learned how to make the butterflies. I put it together with my own setting and when I got my first Gammill quilting machine, it was the very first quilt I put on and quilted. I tried a variety of things on it and it really turned out nice. 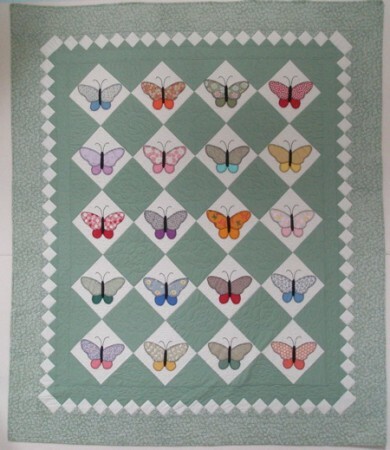 Thanks to Amy for the virtual quilt show. You might also want to check out the posts at My Quilt Village. The group of shop owners/designers who have that site have been posting about their first quilts! This was my first quilt. You can read all about it here.